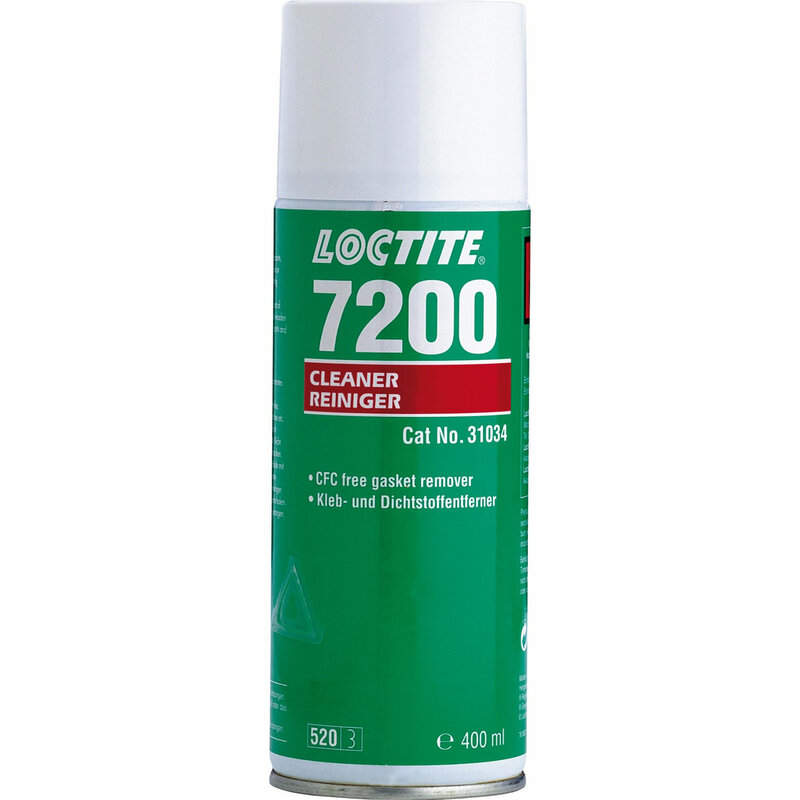 Parts Cleaner - gasket remover Loctite SF 7200. Removes gasket sealants in 10-15 minutes. LOCTITE® SF 7200 is designed to remove cured chemical gaskets by softening the material on the flanges. Once applied, the product develops a foam-like layer on the gasket, preventing the agent from running off the desired location. It therefore keeps working for the required duration. Typical applications include removal of all types of chemical gaskets from metal flanges. It is particularly suitable for aluminium or other soft metal flanges where scraping could lead to surface damage.